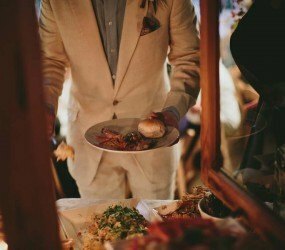 Our chefs and staff will put on a tantalising display in front of you and your guests. Our Melbourne based team of chefs use only the freshest ingredients and butcher all our meats, go to market for specialty seafood, prepare all sides and menu items. 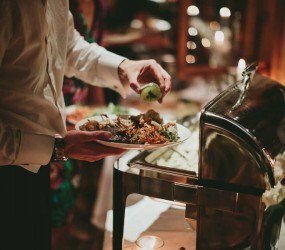 Our buffet catering is a great, casual way to entertain whilst you mingle with friends or even corporate clients. Once your mouth watering package is cooked to perfection, you will be invited to dine with the buffet in beautiful polished stainless steel bain marees. These keep the menu items at optimal temperature. Your chosen selection of hot and cool sides are then complimented aside the main buffet with sauces and condiments alike. It is great entertainment, great food and a day to remember. 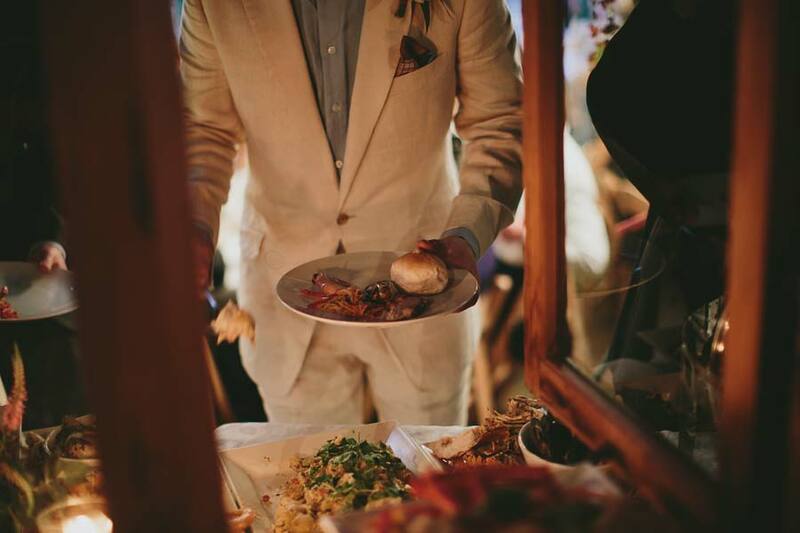 This package is inclusive of fabulous chefs to cook and wait staff to serve your guests. Inclusive is all the platters, napkins, bain maree equipment, plates and cutlery, staff and no other associated costs. Want to add a few Canapés? Our Canapés off the Barbeque can be added to your menu. Canapés on arrival is a great idea to welcome your guests. Firstly our staff will circulate the canapés in a sequence, explaining the items, concepts, sauces and garnishes. All of our amazing canapés and menu items are designed and hand made by us. Meaning you will be fed and fed great flavoursome food. 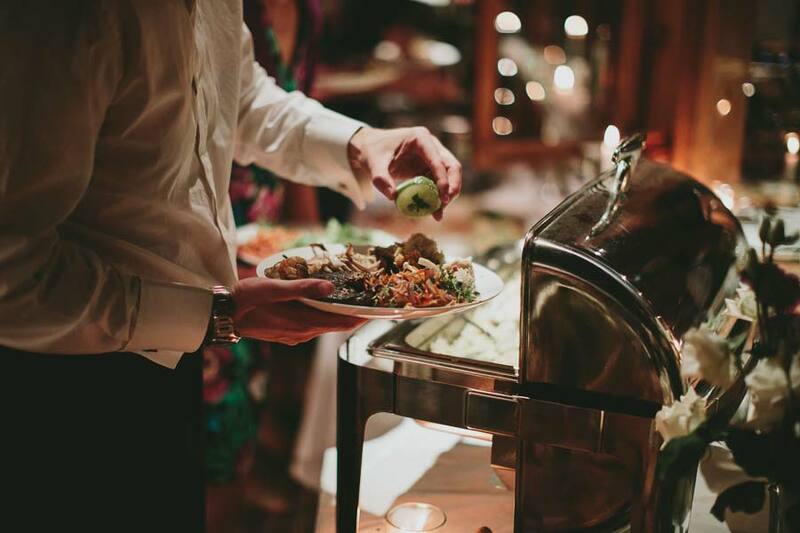 Our buffet catering service has pleased all of our customers throughout Melbourne, and we want to do the same for you. If all this talk of food has made you start drooling (not that we don’t blame you), then please contact us at (03) 9543 8810 or send us an email so we can organise all this yummy food for you.